RRB NTPC 2017 Mains Exam – Marks Increase after Normalization in Railway 2nd Stage exam: Not happy with your Railway Online exam marks? Don’t worry, Normalization can do magic by increasing your marks. The Railway Recruitment Boards (RRBs) are all set to announce its Non-Technical (NTPC) Graduate mains exam result by declaring RRB NTPC 03/2015 Result. We are getting many queries from Railway aspirants regarding RRB NTPC Cut off marks for the post of ASM, Goods Guard, TA/ CA and Clerk posts. RRBs to announce its 2nd Stage NTPC Result shotly . Normalization to play big role in selection 3rd Stage and CA/ TA, Goods Guard posts. The very first thing you candidates need to know is Railway (RRB) announces Result, Merit list and cup-off marks on the basis of Normalize Marks. It’s no use of asking for cut-off, chances just after knowing raw score (Marks as per Answer keys). Before proceeding further, I am going to let every RRB aspirants know that there will be difference in RRB NTPC Raw Score & Normalize Marks. In most of the case, Railway RRB NTPC online exam marks will be increased after normalization on the other hand, Marks will be decreased too in some cases. We can see these changes in Railway RRB NTPC exam result 2017. 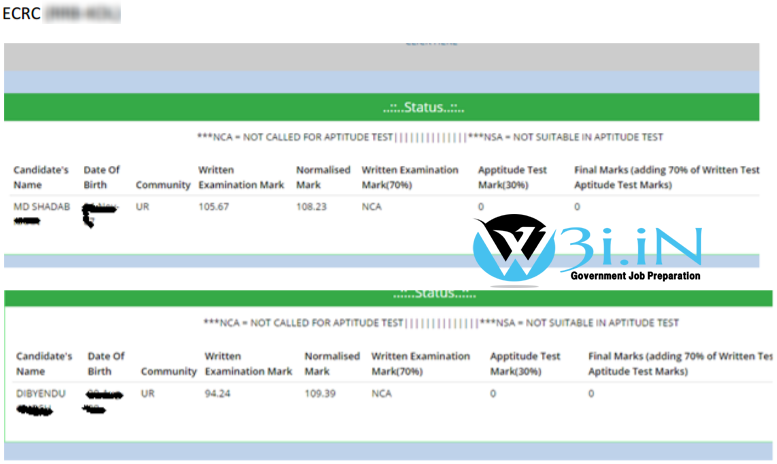 This is next big thing about Railway Non-Technical (NTPC) 2nd Stage exam, yet to be released by officials. Once RRB released Normalize Marks of Railway ASM, Goods Guard, TA/ CA online exam under NTPC vacancy, there will be changes in almost every student’s raw score. 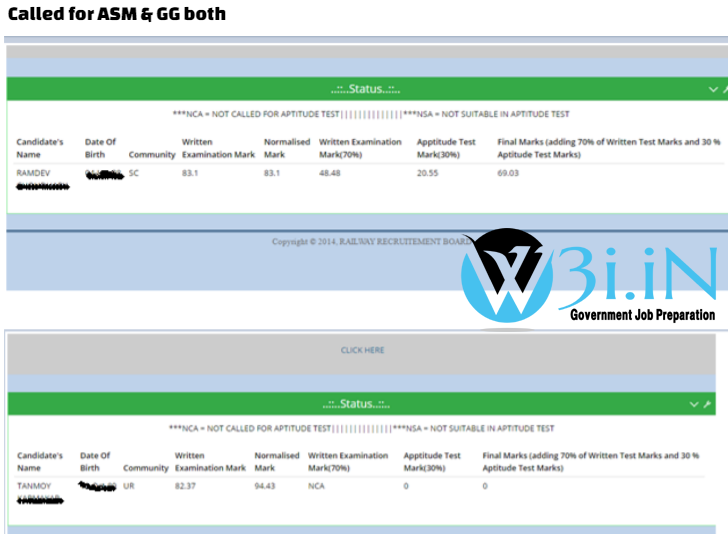 There will be big differences in raw marks and normalize marks and it can be up to 15 marks. Getting Less Marks in RRB NTPC Exam? If you are getting less marks even less than 70 as per answer keys, you don't need to worry. Here, I'm showing you how someone reached from less to high Marks just because of normalization. 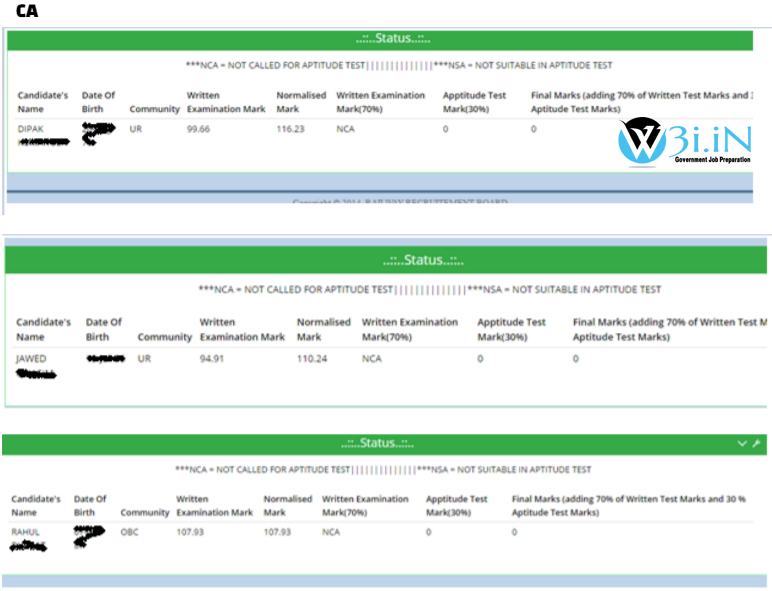 Have a look at two example given below, I am sure you will be surprised seeing the increment in RRB NTPC Marks after normalization being implemented. Indeed, Normalization can do wonder for you..!! This is just another example of Normalization (Not, RRB NTPC Exam). This guy has got Rank 1 from a Railway Board. Despite having only 65.62 Marks he topped the exam. Don't lose hope. You too might be next topper in your region. As we all know, Normalization will increase marks and it will be beneficial for RRB aspirants, candidates must know it might be dangerous too. It can untouch your marks too. Railway had already announced result on the basis of normalization in its RRB CEN 03/2015 NTPC Exam. Here we have come up with some of the example where Normalization played big role in Selection on CA, TA, ASM and Goods Guard posts. 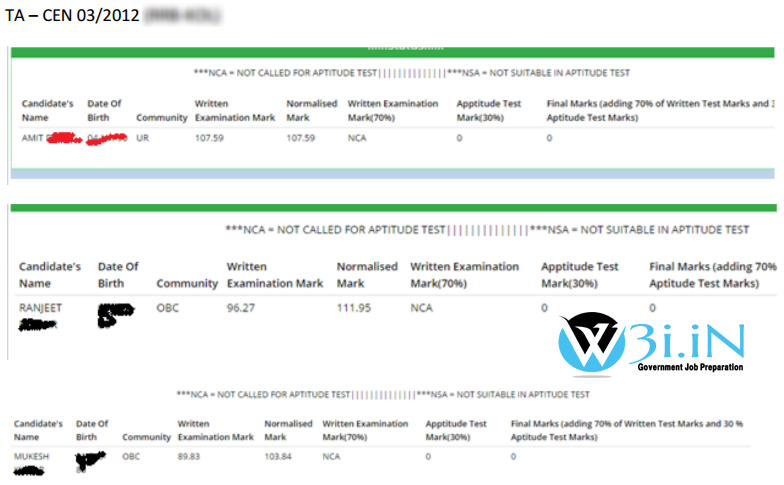 In these score card, you can see the big difference in Normalize marks and Raw marks. Normalization can do wonder indeed. If you are getting less marks i.e. between 65 to 75 Marks. Don't lose hope, You still have very good chance of selection. Wait for normalize marks and Let it be published. After going through above mentioned normalize marks example, I don’t need to explain anymore about normalization. It’s simple and just depends on difficulty level of question paper on respective shifts. We highly recommends candidates applied for Asst Station Master, Goods Guard, Apprentice (Commercial/ Traffic) CA/ TA & other clerk posts, they must have a look at normalize marks. Candidates applied from any Railway Board (Region) i.e. RRB Allahabad, RRB Mumbai, RRB Kolkata, RRB Secunderabad, RRB Chennai, RRB Ahmadabad , RRB Ajmer , RRB Bangalore , RRB Bhopal , RRB Bhubaneswar , RRB Bilaspur , RRB Chandigarh , RRB Muzaffarpur, RRB Gorakhpur , RRB Guwahati , RRB Jammu Srinagar , RRB Malda , RRB Patna , RRB Ranchi , RRB Silliguri and RRB Thiruvananthapuram, there marks will be affected once normalization is being done. We hope normalization goes in your favour. Good luck..!! RRB NTPC Expected Cut off Marks. RRB NTPC Previous Cut off Marks.